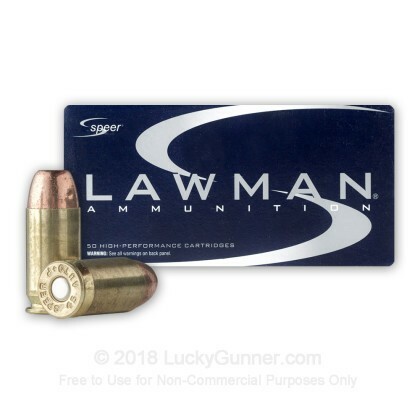 If you carry Speer Gold Dot jacketed hollow points for self-defense, you'll want to use Speer Lawman ammunition for your target practice. 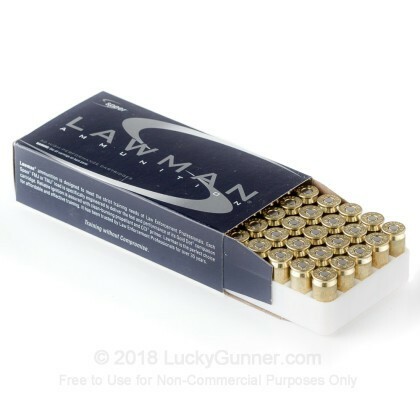 This is not simply because they're from both from the same manufacturer, but because Lawman ammo is designed to replicate the ballistics and recoil of its corresponding Gold Dot load in a less expensive format. 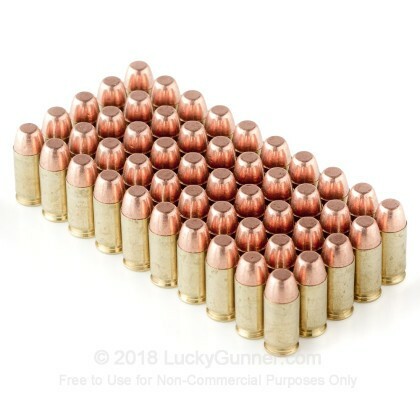 This particular .45 ACP ammunition comes in boxes of 50 and uses a high pressure (+P) load to achieve a relatively high muzzle velocity of 975 feet per second. The higher recoil caused by the extra powder charge is somewhat lessened by the use of a lighter 200 grain bullet. If you've chosen a light, fast carry load, this ammo is a great pick for the range. These cartridges use total metal jacket bullets, which produce significantly less airborne lead than full metal jacket rounds. Make sure to only use this +P ammo only in firearms that can withstand the higher pressures. Speer ammunition is loaded in Lewiston, Idaho using non-corrosive Boxer primers and reloadable brass cases. Favorite weight, great for practice. I like to use these in my Glock 30 Gen4 with the 13 round magazine/X-Grip Sleeve. I have an aftermarket barrel but I doubt there would be any issues with an all factory Glock .45 auto pistol. I'm not sure why the 200 grain isn't more commonly used for self defense. 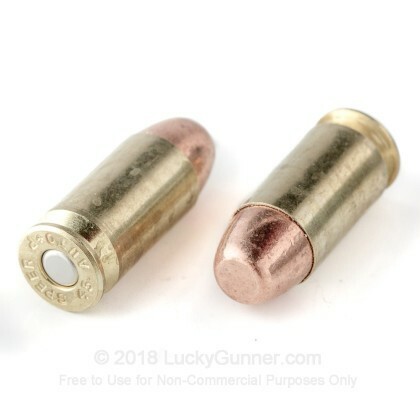 The Gold Dot 200 grain JHP is the only round I can think if in existence. Apparently there are not many good test results with the 200 grain expansion. However, these are cleaner than FMJs and just...200 grain .45 acp +P. Speaks for itself. 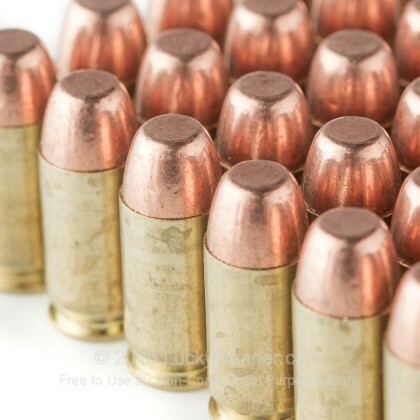 Between 185 grain and 230, the most common weights for this caliber. Sweet spot rounds. Great freakin price. 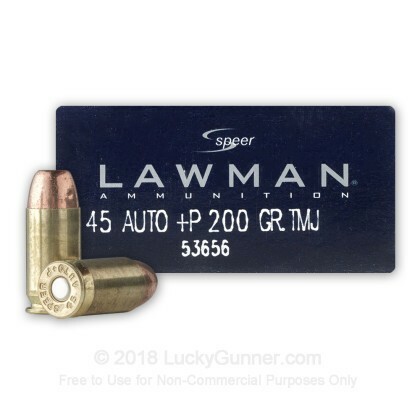 We also have this 45 ACP - +P 200 Grain TMJ - Speer Lawman - 1000 Rounds ammo in stock in a bigger quantity.